Last week, the man himself, Fred Wilson published a blog post about the importance of learning to code. His decree was simple and straightforward: If You Aren’t Technical, Get Technical. In particular, if you are a non-technical co-founder at a tech company…you must get technical. As the founder of Skillcrush, a technology education company, this is a topic that is near and dear to my heart. I, too, know the value of getting technical from experience, both in the workforce, and also as a startup founder. I was never a non-technical founder, but I was a less-technical-than-I-am-now founder, and I am extremely thankful for all of the technical skills I have acquired in the past year and a half of building my company. But I think that Mr. Wilson is making the process of learning to code seem easier than it is, and I think it’s worth addressing the very real, but totally overcome-able, challenges of transitioning from non-techie to techie. I do want to note that I love Fred Wilson for all of his tech-education advocacy and I know that his intentions were only to encourage more people to learn to code (a mission I fully support!). If you feel like learning to code is hard, you are NOT alone! Learning to code IS hard. And frustrating. Sometimes, you will get stuck on a problem for hours and then be annoyed when you finally discover a relatively simple solution. One of the first things every new coder has to learn is the inevitable ebb and flow of coding. Sometimes it comes fast and furious and you will solve a complex problem in a matter of minutes. Other times it is slow and painful. If you can accept this reality and stay zen, even when you are being smacked in the face over and over by error messages, you will have an amazing future in code! That said, coding isn’t impossibly hard. It’s just hard in the way that anything worth doing is hard. It is SO MUCH easier to learn to code when you have a community of people–whether instructors, fellow students, or friends–to help support and guide you. Over the past two years, I have spoken to hundreds of people who have attempted to learn to code. Those who succeeded often had one thing in common: they had someone to turn to with questions. You cannot take the human element out of education and expect students to succeed (especially online). Everyone gets stuck, discouraged, and frustrated. Everyone needs to be able to reach out to someone from time to time and get a helping hand. And as amazing as services like Stack Overflow are, they too rely on real-live human beings to make them magic. So plan for this reality! If you have a friend who knows how to code, ask them (nicely) if you can bug them with questions. 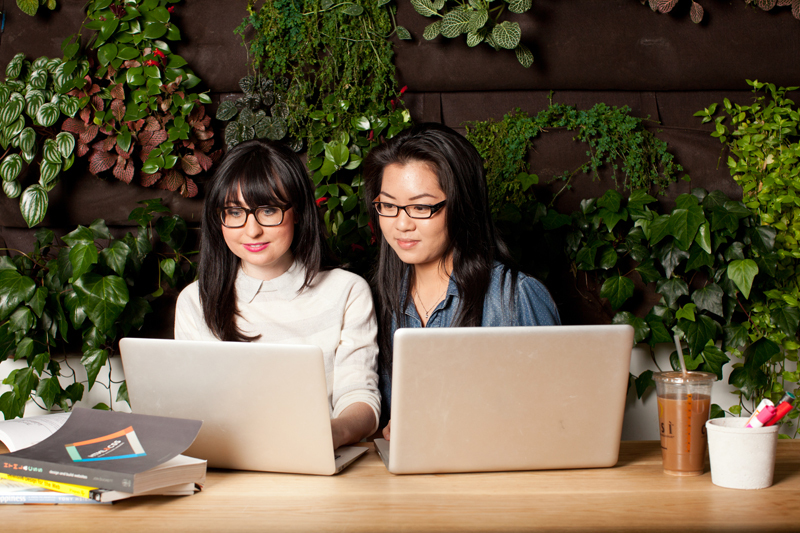 If you know someone else who wants to learn, commit to taking a class together. And look for online resources and communities where you will be able to ask questions of real instructors (like Skillcrush!). 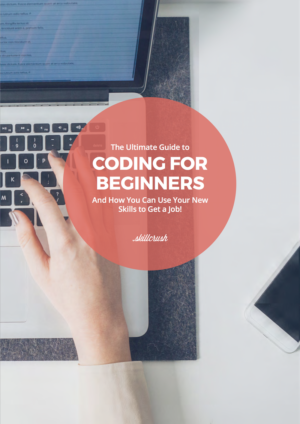 Take these simple steps, and your chances of actually learning to code will grow exponentially. The developers I know are musicians, artists, and knitters. Some of them, all three. They are college students, mid-career professionals, and grandmas. They have photography degrees, English degrees, economics degrees, or no degrees at all! Look, thanks to Hollywood developers writ large have gotten a bad reputation for being nerdy, awkward, and male. And although there are plenty of nerdy, awkward men in tech, there are lots of others too (and the numbers are EVER growing, I know, I am personally training an army of them). It’s not to say that we don’t need more diversity in the field (OMG we do! ), but there is no one-size-fits all model for what makes a good technologist: except an excitement for the field and its infinite possibilities. Moreover, the skills that truly make for good technologists are not what you think. The best technologists I know are two things: they are creative and they have a really deep understanding of what the user really needs. Neither of those qualities have anything to do with math skills. Just think of how reading, and the printed word, has changed your life. In 1990, Tim Berners-Lee created the web and made it possible to share the printed word with unfathomable ease. Just think of how coding, and being able to build web apps, will change your life. The dawning of the digital age means that tech is for EVERYONE and everyone should have a hand in making it. Learning tech skills is amazing, and powerful, and I want to help make it a reality for you. If you have any questions about whether you should learn to code or how you should do it, I am here to answer them. Email me at adda@skillcrush.com, I promise to respond within 24 hours. Scout’s honor. Should I Learn to Code: Yes or No?